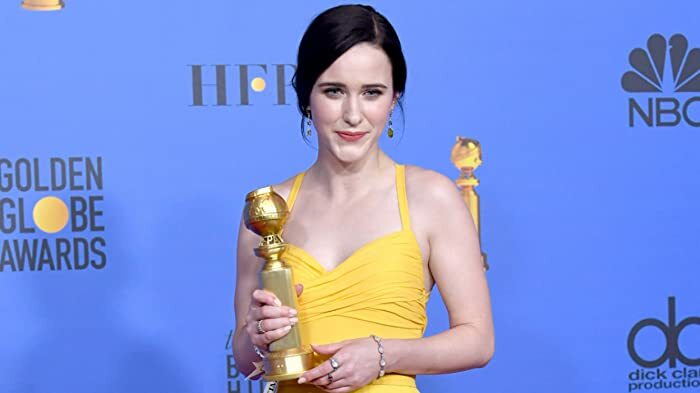 2019 Golden Globe Winner: "The Marvelous Mrs. Maisel"
Congratulations to Rachel Brosnahan, winner for Best Actress in a Television Comedy for "The Marvelous Mrs. Maisel." Another 40 wins & 38 nominations. | wish i could shout "wow" . . . but the web-guardians say "no." what a tremendous delight! i can't say enough about this project. if it bites the dust there is no justice. please take a look and rate it high. it needs support! the whole thing slams into one with endless surprise. the 'mrs,' is acted with verve and great focus. one knows she's the funniest one in the marriage from the get-go. 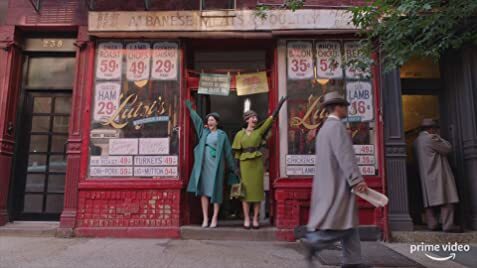 A critic for Slate called the pilot episode "a knockout", stating that the stand-up element "introduces a welcome streak of discipline, both verbal and thematic, into Amy Sherman-Palladino's charming but manic work." Don Rickles is mentioned along with Bob Newhart. Rickles was years away from being famous in 1958, when the show takes place. Rickles and Newhart met in the mid 1960's.